High Pressure Capabilities = Greater Reliability At High Speed! AN TYPE HOSE ENDS - Hose ends come in the same sizes as all hoses in many different variations such as straight fittings, angle fittings, 30 degrees, 60 degrees, 90 degrees, 120 degrees, 150 degrees and 180 degrees. All fittings are also available in different materials such as anodized aluminum, and un-anodized polished finish. 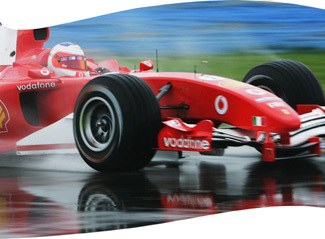 Suitable for almost all Street and Marine applications, and many Competition uses. 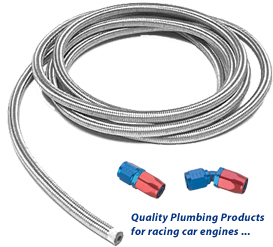 We offer a full line of high performance hose to meet any plumbing need for all kind of car, truck and boat. All of the hose we carry are top quality. Constructed from top materials and designed to work under the toughest circumstances. 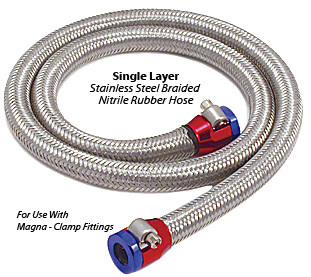 Single Layer Stainless Steel Braided Nitrile Rubber Hose (1/4" ID ~ 5/8" ID) is for use with Magna-Clamp Fittings. Magna-Clamps feature a two-piece aluminum housing and a built-in stainless steel gear drive clamp that provides secure tightening. 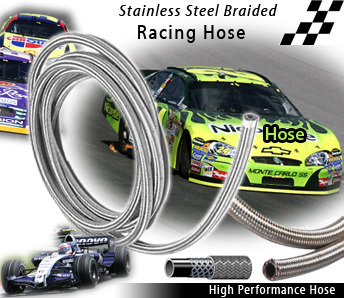 Stainless steel braided hose for superior performance. 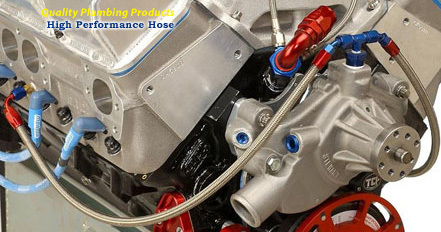 DELIKON Racing Hose offers unsurpassed levels of performance and reliability for your tough performance applications. Full vacuum rating for sizes -10, -12 and -16. 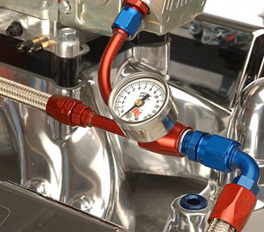 Applications include fuel, lube, coolant and air.